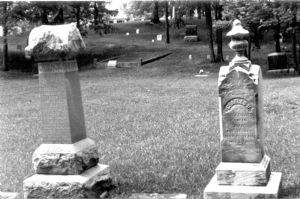 Headstones for Elizabeth Conrad, wife of Daniel and their son Charles. Cemeteries, Maryland, Frostburg; Obituaries, Maryland, Frostburg. .